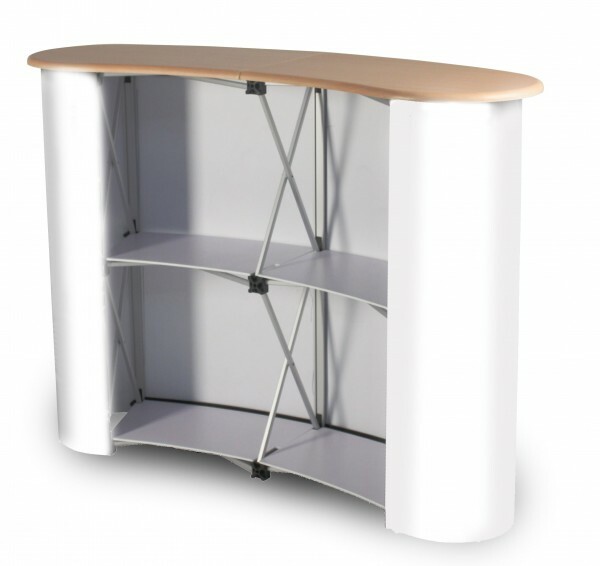 The Pop Up Counter includes a graphic wrap and wheeled case to make the ultimate portable counter display. Assemble and pack away your counter in minutes, buy yours now. 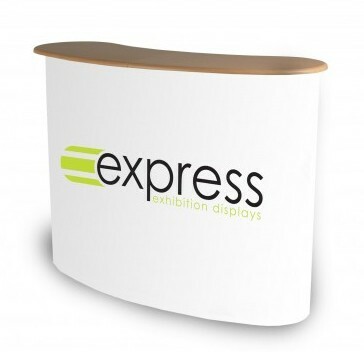 The Pop Up Display Counter can be set up in minutes and is perfect for displaying branded materials in any event or retail environments. To make this counter even more practical, there are two internal shelves to allow storage of extra material without cluttering any counter top space! The frame consists of a unique lattice style structure meaning your counter can fold down in seconds and pack away into the supplied wheeled case. Compliment your counter with an iPad Stand to create the ultimate counter display set up. Buy yours now.